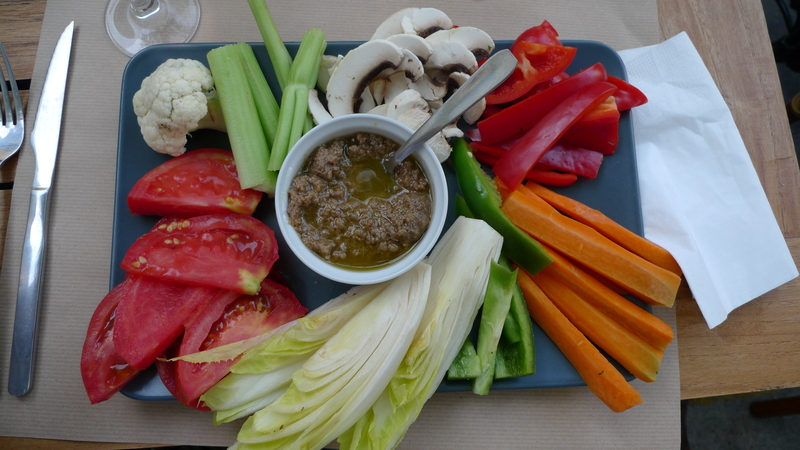 We tasted this typical provencal dish in Arles served with refreshing crudités that ranged from carrot sticks to a raw cauliflower. Rather like the filling used for peppers in piedmont, if you like strong flavours you’ll love this. I even started to understand the function of what up to then I thought of as ‘horrible bitter endive’ and rather enjoyed the combination! To try this at home follow trusted Delia’s recipe by clicking here, but don’t waste this delight on bread and match it up with fresh vegetables to refresh the palate. 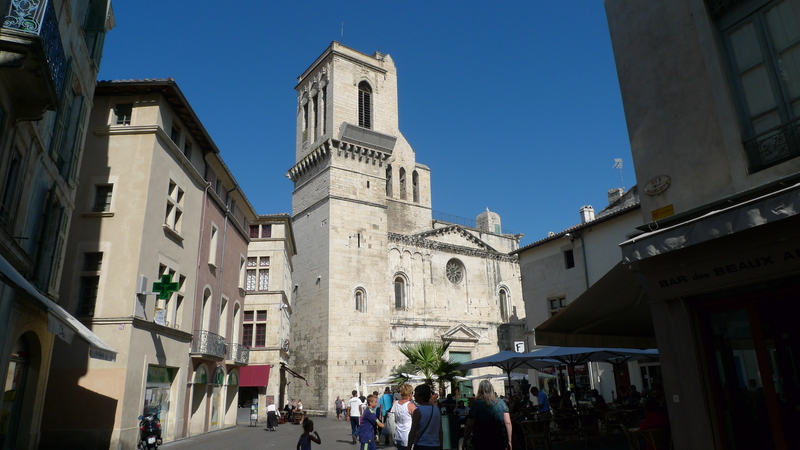 No point in waxing lyrical here about the delightfully lazy pace of life, the cafes, the fountains, the light, the cicadas or the lavender when what I am interested in are the long aperitifs, the various types of Kir and the polite smiling service of a patisserie-with -restaurant called Le Caladon in Nimes. As declared on the menu the service here was attentive and smiling even our not-so-petit toutou who was immediately attended to with a bowl of fresh water while his ‘parents’ (yes, the Towers have a child – and it’s hairy…) sipped peach and cassis kir in the ‘place’ famous for housing a frankly hideous statue of an alligator and a broken column. 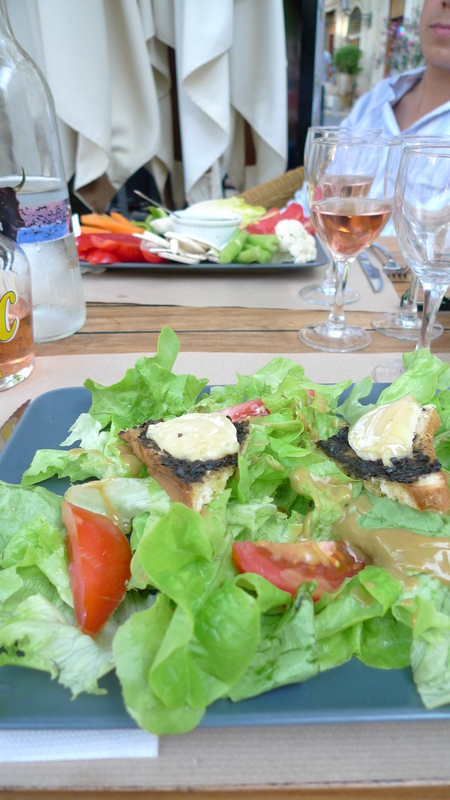 Homely but flavoursome dishes were topped off by Cotes de Provence Rose and delicious macarons which were picked in the patisserie but served at the table.